"Our relationship with Salamanca Fresh has been there for about 40 years and started with the original store in Salamanca Place. Each store places their individual order and gets a delivery twice a week. It’s an exciting time to be involved in the fruit industry in Tasmania." 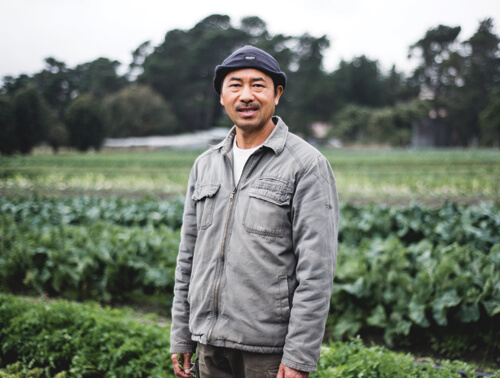 "I've been involved at Harvest Moon for 27 years – this is home to me and I love growing veggies every day. 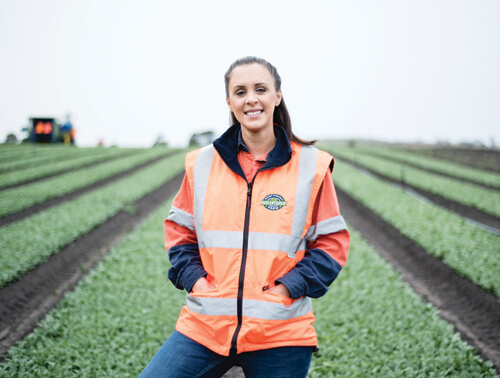 You get this tiny little seed and you plant it in the ground and watch it grow into a beautiful carrot or a beautiful head of broccoli – that’s really rewarding from my part." "I love that we’re producing a really fresh product. We grow all year round and each day changes depending on the weather – that’s what Tasmania is all about. 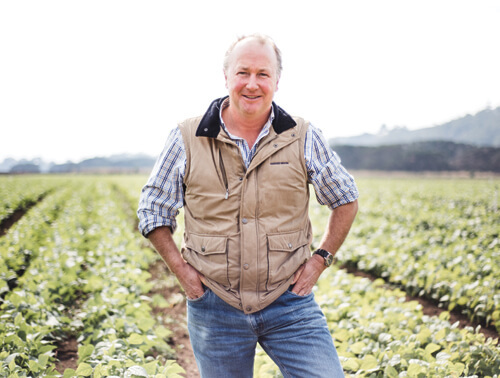 I check every single crop on the farm before harvest – we wouldn’t put a product on the shelf if it wasn’t perfect." "I've been with Summer Kitchen since ‘93 and we've been supplying to Salamanca Fresh for as long as I can remember. 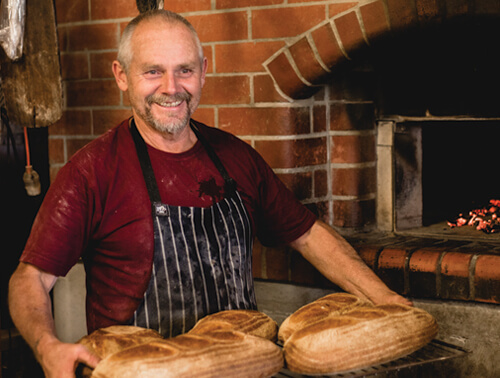 It's a long process making sour dough – we make the dough the day before and let it sit for a day for it to turn out right." "My father and grandfather set up this farm and I was born on the property. I have a very special connection with these cows – they do all the hard work. Most of them have been hand-reared and have been here as long as we have." "It’s a love for the product and the place it comes from which makes this job great. The technology these days is incredible and there’s not a day that I don’t come to work and go ‘wow’." 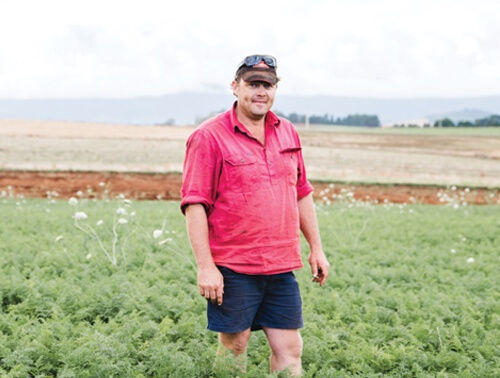 "I love the challenges associated with farming. Every day is different – some days you get up and you think everything will run smoothly and nothing does. My family has been farming here for 40-odd years and supplying our root veggies to Salamanca Fresh for about 30 years." "Our parents are all farmers. 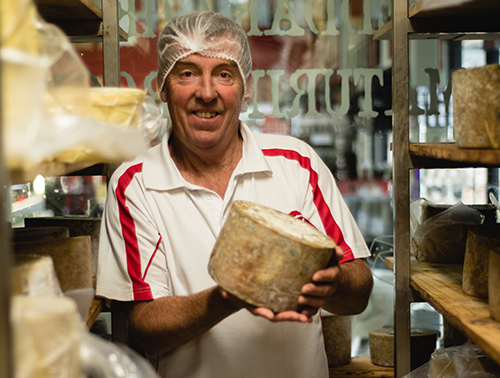 When we first arrived in Australia we set up the farm and bit by bit started supplying to Salamanca Fresh. We supply coriander, radish, silverbeet, garlic, turnip, parsley, peas, cauliflower, zucchini, celery, spring onion, beans, snow peas, corn and lots more." 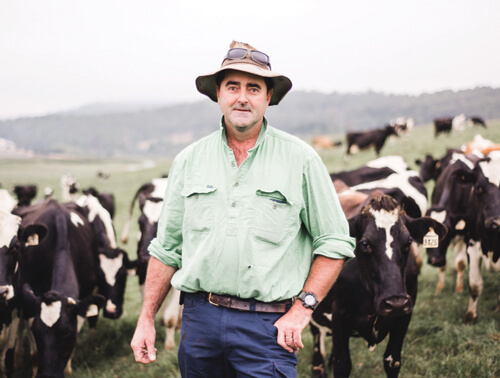 "I started this business 15 years ago, and from a little shop on the main road we built up slowly and are now employing more than 16 people in our smallgoods factory. Our products are 100% Tasmanian and people love it. It is very good quality meat." 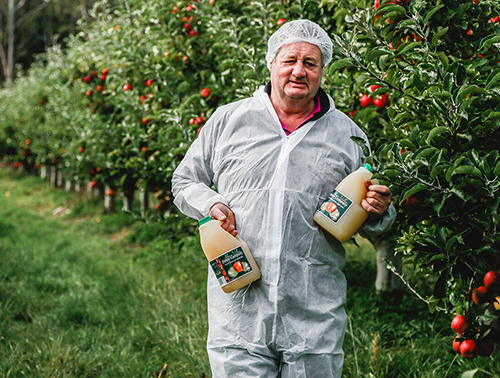 Huon Juices have been supplying apple juice to Salamanca Fresh for about five years from Mark’s orchard on the banks of the Huon River. 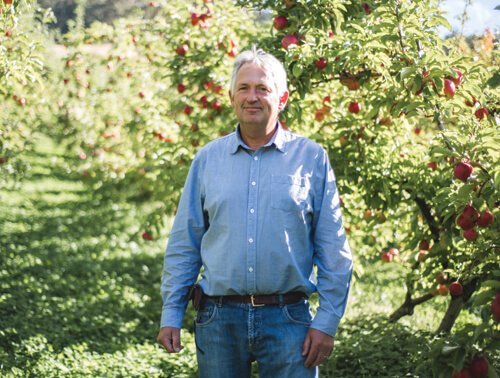 Mark says you’ve got to have the cleanest apples, from the best climate to make quality juice. 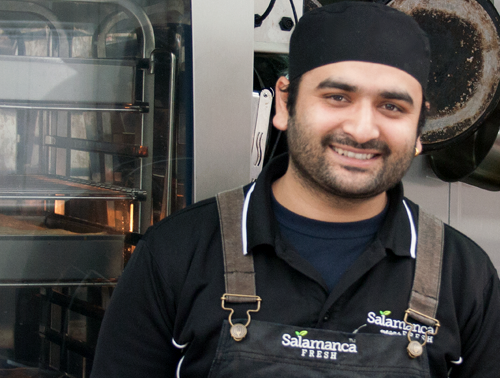 "Salamanca Fresh were probably our first customer, they supported our business from the start, which was over 10 years ago. To work with someone loyal, independent, approachable and reasonable in this day and age is a really good thing. It’s a great partnership." 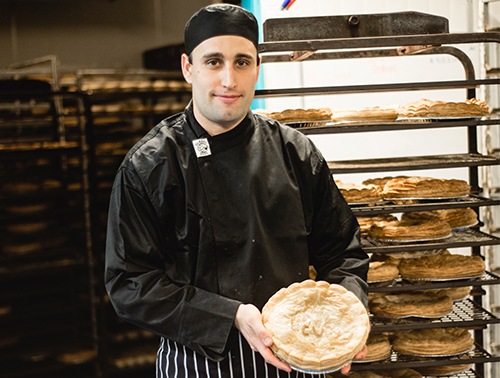 "We’ve been supplying our pies to Salamanca Fresh for over 15 years. We bake fresh every day to order, so the bakery is running around the clock. We’ll source as much produce from Tasmania as we can, and if it’s out of season we’ll get Tasmanian businesses to source it. It’s a family recipe and we do everything here on site." "SHV has been collecting and transporting Salamanca Fresh's produce since their first store opened in 1982. These bananas are put through a ripening process and delivered to the stores the very next day. 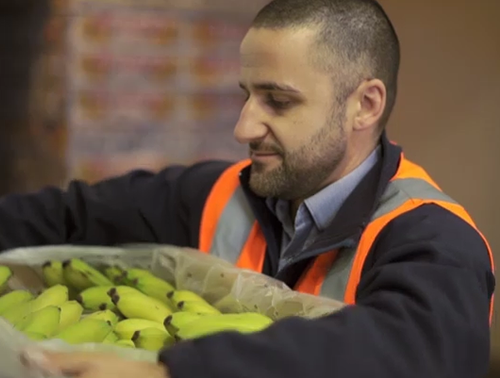 Our unique distribution channel allows us to provide the freshest bananas in Tasmania."